Ne Obliviscaris are a 6 piece progressive black metal band from Melbourne, Australia that include a vast array of influences within their sound; consisting of a violin, 2 guitars, bass, drums, clean and extreme vocals. Progressive to black, thrash, death and melodic metal, and even western art music, jazz and flamenco. Creating music of many extremes, and with compositions often exceeding ten minutes in length, Ne Obliviscaris is at times very technical and complex and at others simple and subtle, creating an extremely original brand of metal that defies normal categorisation. 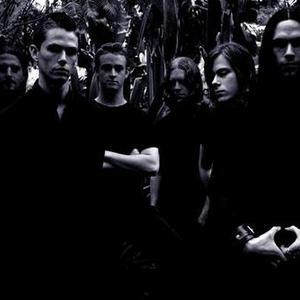 Initially formed in 2003, Ne Obliviscaris (pronounced; Neh Ob-li-vis-kar-is) hit the live scene February 2006 to widespread critical acclaim with many hailing their unique sound, intense live shows and extremely talented line-up (drummer Dan Presland recently won the Australian final of the Worlds Fastest Drummer Competition, crowning him as the Fastest Feet in Australia).